Spend Less on All Gas and Electric Water Heater Repair, Replacement, and Installation Services in Torrance, CA. Is your gas or electric water heater giving you problems? If so, don’t wait for your appliance to fail completely before getting professional help. At Torrance Plumbing and Rooter, we are available around the clock to assist you with all your water heater repair and replacement needs. Whether you need emergency service for a busted appliance, a broken valve, or you want to speak with a professional about a new, tankless water heater system, you can count on us to provide honest and reliable water heater services in Torrance, CA, 24 hours a day, every day of the week. Other companies in town claim to have the best service available, but what makes Torrance Plumbing and Rooter stand out from the crowd? For starters, it’s our certified technicians. We believe that the difference between average service and outstanding service is the quality of the contractors working on your appliance. This is why we require our contractors to undergo demanding training every year to ensure that they are up-to-date with the latest repair and installation methods. This training consists of over 100 hours annually and is completed at one of our onsite training facilities. Did we mention our up-front pricing policy? In addition to our expertly trained staff, we also provide residents of Torrance, CA, with affordable water heater repair and replacement services. One of the ways we accomplish this is by adhering to a strict pricing policy that charges by the job and not the hour. We present our customers with an accurate quote before repairs, or other services are started. Our customers appreciate the fact that they always know how much a repair will cost before, during, and after a repair because it never changes. 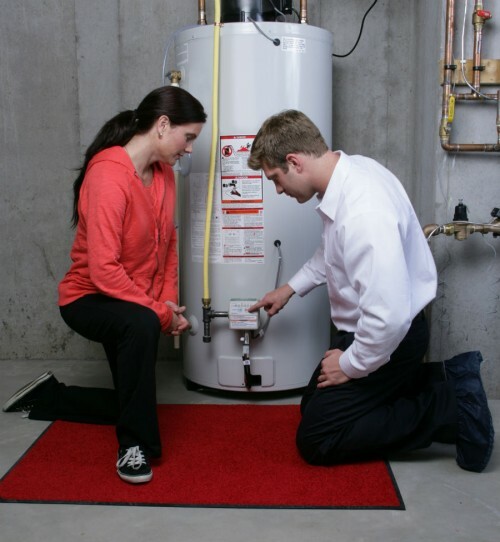 You’ll never baffle our highly trained contractors with a water heater repair. Torrance Plumbing and Rooter technicians are familiar with all types of brands and have the tools and expertise to make swift error-proof repairs. Experience the Torrance Plumbing and Rooter Difference – Call Today! Are you ready for expert water heater repair and replacement in Torrance that includes worry-free pricing, flexible scheduling, 100% satisfaction guaranteed, and is the preferred provider in town? If so, call us on the phone or schedule an appointment online. At Torrance Plumbing and Rooter, we are here 24 hours a day ready to go to work for you!